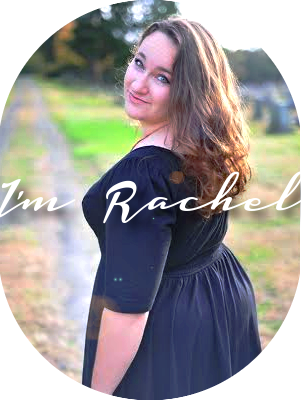 The Inkpen Authoress: "Mom, Farnham's in the kitchen and he won't get out!" "Mom, Farnham's in the kitchen and he won't get out!" Vivi squared her shoulders and rolled her eyes at him. "First you're a detective, then you have a telephone, now electricity. What next? Next you'll be telling me you run a prison in the secret passages beneath Whistlecreig and fill it with all the criminals you catch red-handed." Her face fell and she cut butter into the flour in her bowl as if it was him under the blades. 1.) Combine flour, brown sugar, baking soda, salt, and orange zest in a bowl. Cut in the butter with two knives or a pastry cutter until it is in small crumbs. She poured a creamy stream of liquid into her bowl, then mixed it with her hand. The dough clung to her slender fingers in clumps but she didn’t seem to mind. 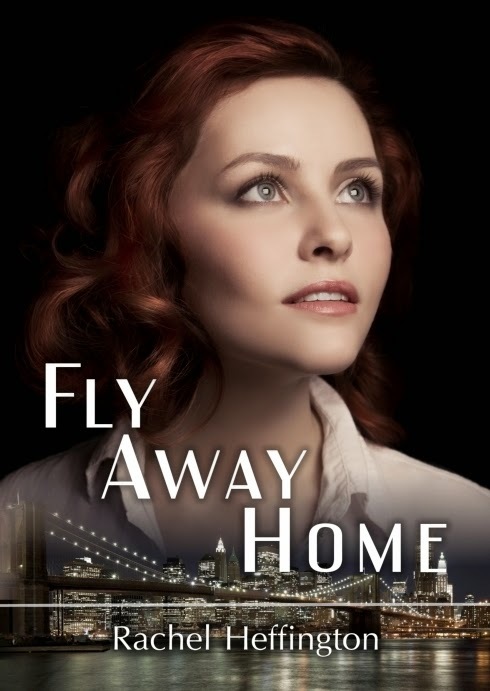 Farnham found himself transfixed by the repetitive motion of her hands as she flipped and mixed the dough. All at once, Vivi tipped the bowl upside down with a clank. 2.) 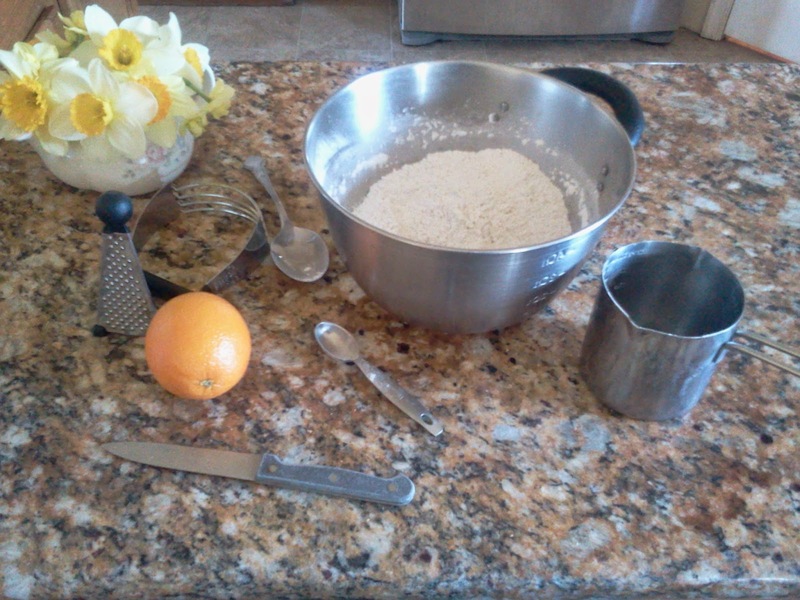 Make a well in the center of the flour and add your wet ingredients: the egg, the sour cream, and the orange juice. Mix quickly and don't worry about incorporating all of the flour. When it begins to stick together, flip out onto the counter and knead six or eight times. 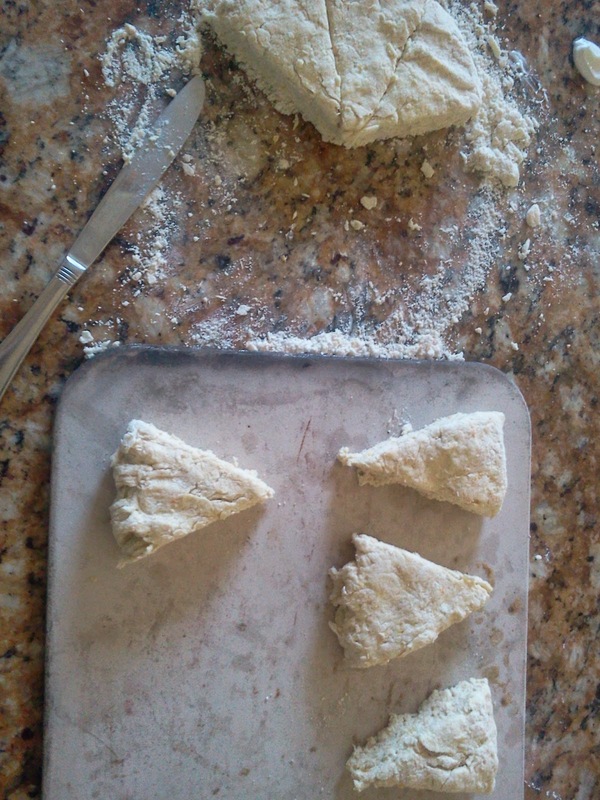 He watched Vivi pat the scone dough into a lumpy circle and slice the circle into six neat triangles. She arranged the wedges on a baking stone and slid them into the oven without speaking. Not that she wasn’t going to speak, Farnham thought, but she hadn’t quite decided what she was going to say. 3.) Pat the dough into a circle and slice in eight wedges. Arrange them on a baking stone and slide into an oven preheated to 400 degrees Fahrenheit. Bake for 12 minutes until a beautiful golden-brown. “The silent foot will tell,” he said at last. Vivi turned and opened the oven. 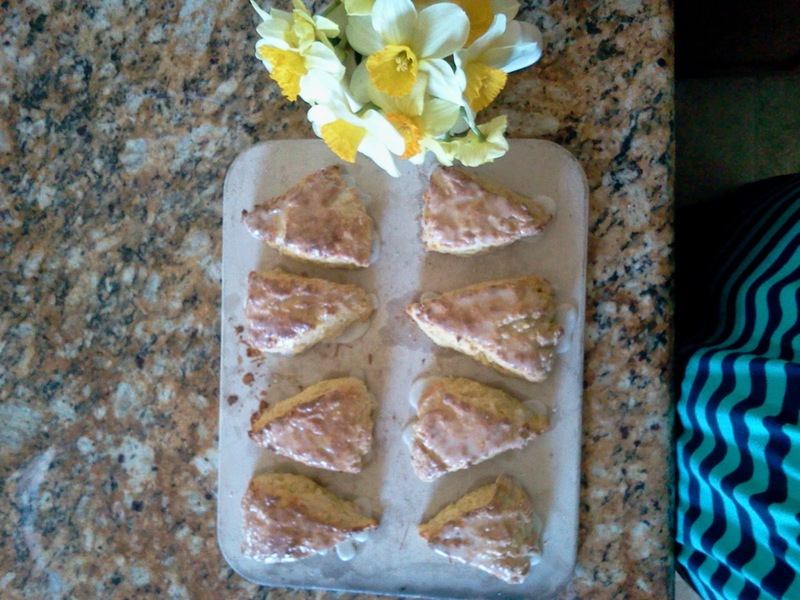 A beautiful smell of fresh scones flooded the kitchen and scooted aside every thought of the murder. Farnham’s stomach, even, was calmed by the buttery fragrance. “What silent foot?” Vivi wrapped her apron around her palm and reached into the oven, pulling the hot stone out and setting it on the counter. 4.) Mix together the powdered sugar, almond extract, and milk until you have a glaze of medium thickness. Spoon over warm scones and let set a moment before serving. Scones are best enjoyed warm. 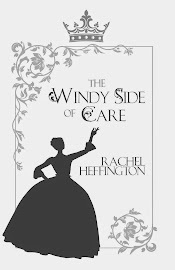 She lifted the golden scones onto a plate, leaving moist, oily triangles against the stone where they had been and shook her head at him in a way half fond, have reproachful. Farnham broke off the tip of a scone when Vivi wasn’t looking and popped it into his mouth. Well, he had health to look after. Self-preservation and all that. Hope you have a darling day, luvs! 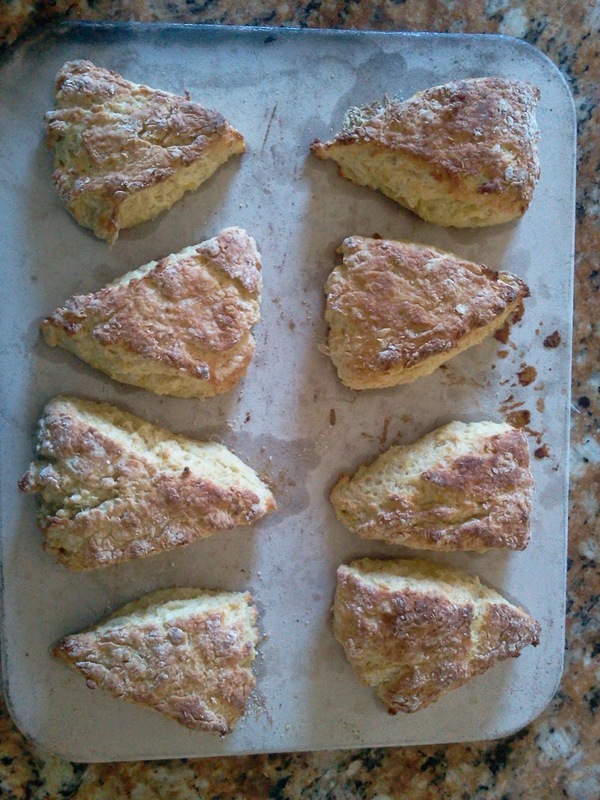 And yeah, make up a batch of these scones. They are the perfect pairing for a spring afternoon. These look delicious! I've been on kind of a baking kick lately, so I'd love to try them. Question—can they be baked on any other kind of dish besides a baking stone? Also, if you want to make them plain instead of orange-flavored, will just omitting the juice work, or do you have to increase the sour cream to make up for it? Those scones look delicious! I love how you mixed in your story with the recipe! That's it. I'm making these for breakfast tomorrow. 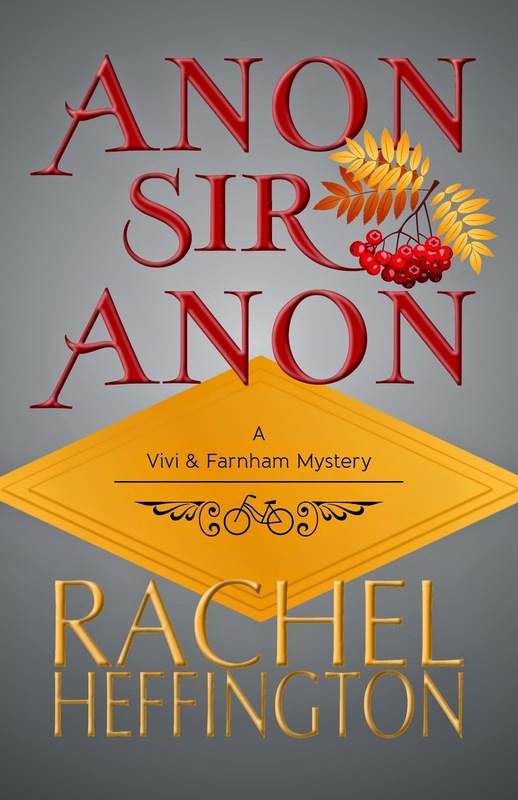 ^.^ I love how you blend mystery and cozy British comfort in Anon, Sir, Anon. 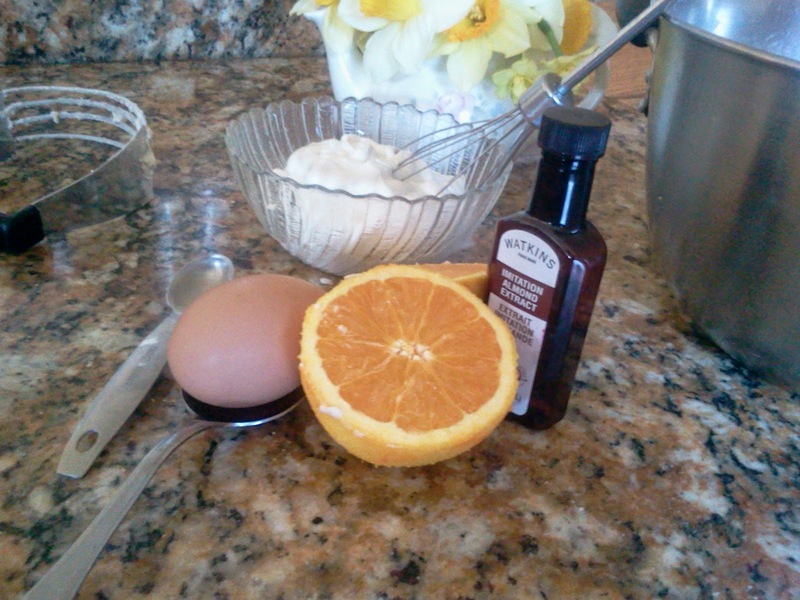 Vivi and Farnham are a perfect pair — thank you for these substantial snippets in addition to the recipe, Rach!